3) improving access of teachers to high quality learning through a set of 4 original e-learning materials disseminated towards over 120 local and national school authorities. 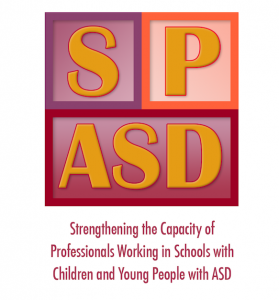 O4) helping students with ASD transitioning from school to adult life. CVBF is responsible for the communication and dissemination activities as well as the e-learning program management. Universitair Medisch Centrum Groningen/Academisch Ziekenhuis (UMCG) – The Netherlands; Consorzio per Valutazioni Biologiche e Farmacologiche (CVBF) – Italy; Universitatea Babes Bolyai (UBB) – Romania; Fundacja Synapsis – Poland.